Back Orders Set To Ship April 26th. You will receive an email if your Neck Nest Is back ordered. Please use promo code below when checking out. 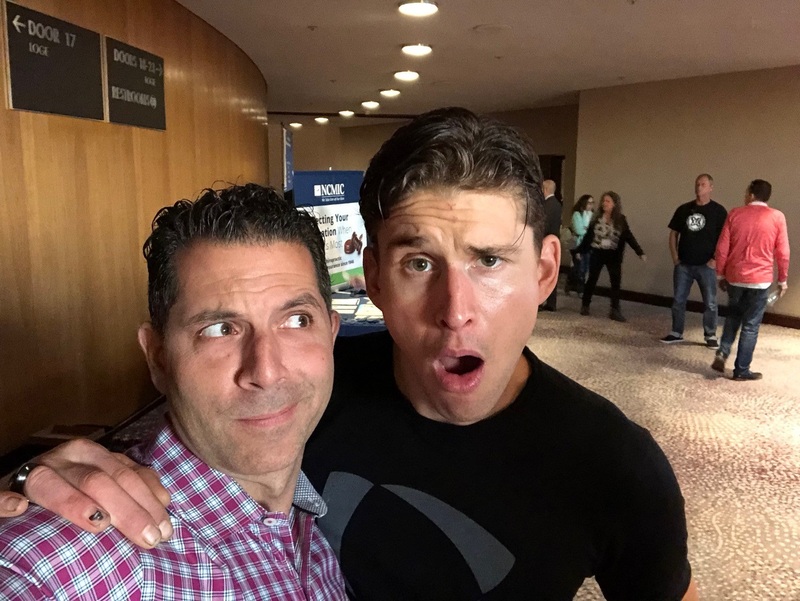 By using Ben's code there is no need to add the other products to your shopping cart. They will all automatically be added. Want The Sleep Quest Only? Comes with 2 separate chambers with zippers so you can add or take out fill to make it YOUR perfect pillow. By sleeping on your back with your neck supported correctly you can help offset the damaging effects of texting. 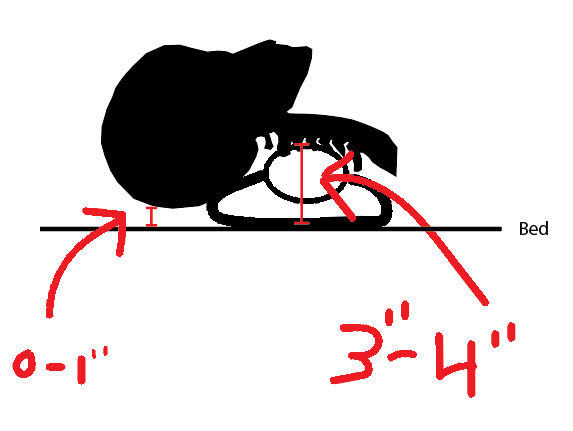 prolonged computer work and our forward head posture lifestyles. The 8 Hour Pillow will not lose its shape and can be custom filled to fit your exact sleeping needs. SOME PICTURES THAT I PROMISED YOU! My daughter in the head garage. 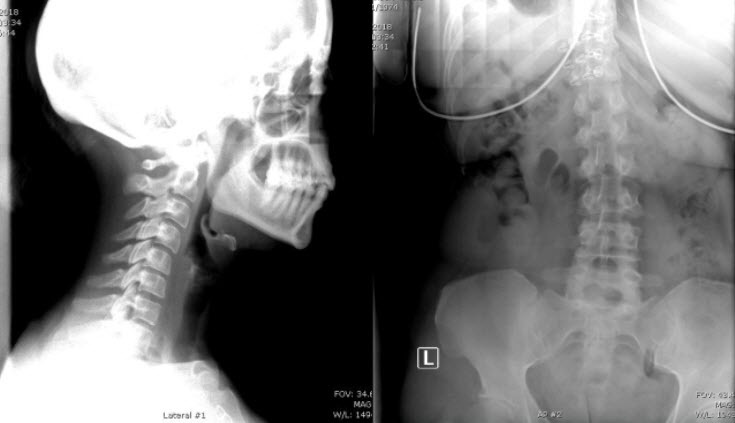 Before and after x-Ray of using the Neck Nest for 3 months. 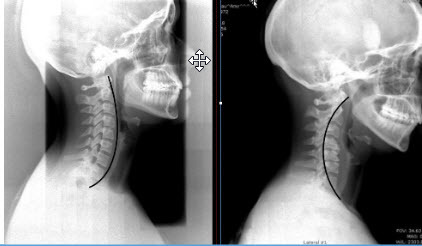 Normal cervical curve on the left and reverse cervical curve on the right. Loss of cervical curve picked up in the lumbar spine. Redefining the definition of PILLOW. 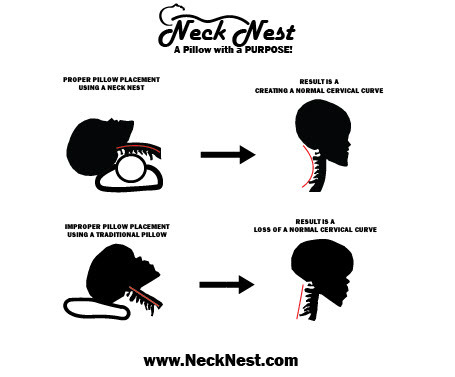 When you purchase A Neck Nest You will receive educational video's explaining how to get a perfect nights sleep. It is not just another pillow it is a new way of life. You will love it or your MONEY BACK. I support my pillow with a 90 DAY MONEY BACK GUARANTEE. It will take some time to get used to it but when you do it will change everything. From the first night I have never slept so amazing! I didn't think I would like it but I have been getting very restful sleep I can not believe it. Wanted you know I love my Neck Nest.I had been waiting over a year for it. Had taken Dr. Martone's advice about sleeping on one's back, and had pretty well mastered that. 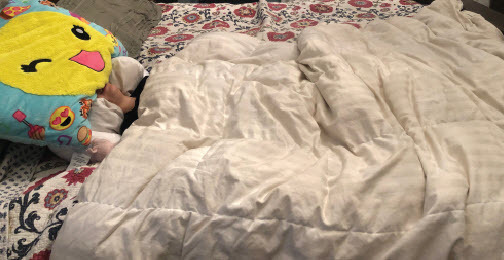 I wear an under the nose nasal mask with my cpap machine and realized back sleeping was the best way not to have air leakage. Your pillow just makes me more secure. 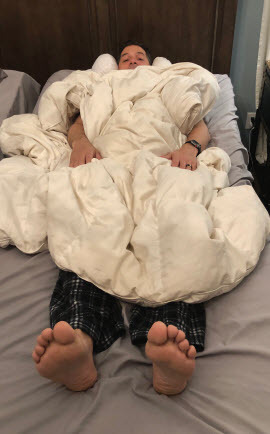 Also, using the cpap and 8 hour pillow, I do not have to get up during the night to go to the bathroom. I'm usually in bed 7 or 8 hours, and am thinking that 6 or so hours during that time is solid sleeping. You will love it or your MONEY BACK. I support my pillow with a 90 DAY MONEY BACK GUARANTEE. ﻿Try The 8 Hour Pillow for 90 Days and if you are not completely satisfied with it then return it for a full refund.